We started life as Australian Horticultural Correspondence Schools with an advertisement in Australia's Your Garden Magazine, in August 1979. One course was offered (Horticulture I), and thirty seven enrolments resulted from this first advertisement. 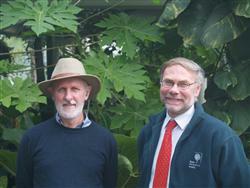 The school was established by John Mason, a graduate of Burnley Horticultural College who had after a career as a Parks Director, been involved lecturing horticulture and related subjects at several Melbourne colleges, including Burnley. In late 1978 he became aware that large numbers of applicants were being turned away from Burnley each year. There simply were insufficient places available for the number of people wanting to study horticulture. The answer seemed obvious. Develop distance education courses. At first John tried to secure support from the government. The college principal was very supportive; but as is often the case; bureaucracy and lack of funding made progress difficult. By mid 1979, John decided to simply write a course, and with help from a colleague who had marketing experience with CAE (Council of Adult Education); a plan was born. 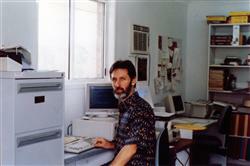 Photo on right shows John Mason in our first office at Lilydale, in 1983, which we built from mud brick! Throughout the 1980's the range of courses grew; as did the staff and scope of operation. 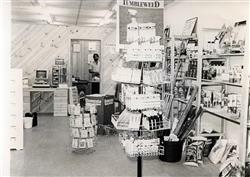 In 1985 we opened a retail shop which operated for 18 months. With the school continuing to grow much faster than the shop, we exited retailing (except for mail order books) in 1986. 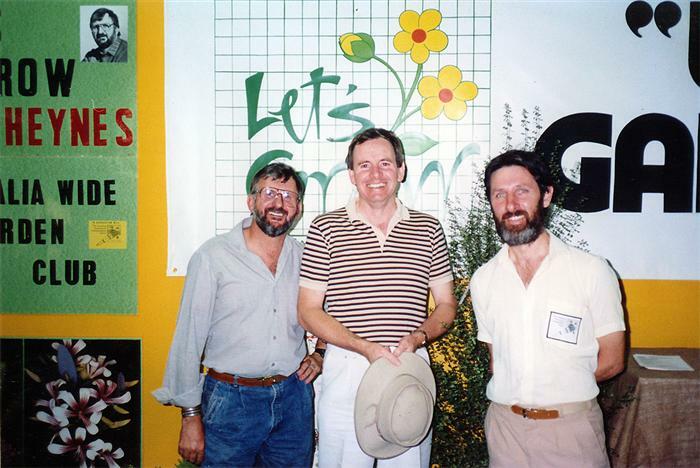 Around this time, ACS also formed a horticultural marketing business called Let's Grow, in partnership with garden media personalities Glen Heyne in Melbourne; and Graham and Sandra Ross in Sydney. 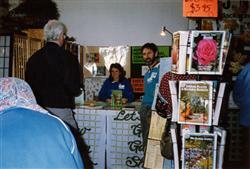 In 1987 we started to exhibit more extensively at garden shows, farm field days and other exhibitions. We also began organising exhibitions and providing consulting services to exhibition companies. In 1992; following changes made by the Australian government; it became possible for the first time for private colleges to obtain formal government recognition. ACS was among the first colleges in Victoria to make a submission and be granted Registered Training Organisation status (RTO) by the Victorian government. Over the early to mid 1990s' various other accreditations were sought and achieved. 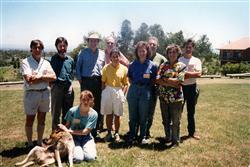 By the late 1990's most of the courses offered did have some form of formal accreditation. At this stage, the bureaucracy and costs involved with accreditation were escalating rapidly. An assessment was undertaken. We determined that "accreditations" were adding 25% to the cost of operation. We surveyed employers and students; and carefully studied old records. It was obvious that in reality, government accreditations had neither increased enrolments, nor had given any appreciable benefits to students or graduates. We did however see some benefits from a few non government accreditations or associations that had been developed. It was decided at that point that the ethical and financially pragmatic thing to do was to reduce resources put into government accreditation. This would allow a higher % of resources to be put into provision of service to students; and to keep course fees from rising too high. 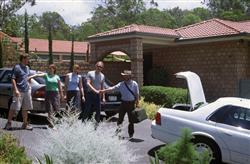 In 1991 ACS licensed Home Study College of South Africa to represent it in that country. Many ACS courses were offered and delivered in that part of the world through HSA following that deal. In 1993, ACS acquired rights to use a range of HSA course materials, which were adapted and expanded upon by ACS academics to produce a variety of additional courses. Over the years since those courses have be significantly rewritten and updated to reflect the needs of an increasingly global education market. The 90's also saw another major change in the school with the introduction of the internet. ACS was one of the first colleges to put significant resources into developing web sites; and following that into developing an online training system. We have been delivering courses online ever since. As such, the profile of ACS web sites grew well beyond what would have been expected for a small college that it was. It maintains an extremely strong web presence even today, because of the foundation laid in the early and mid 1990's. With this expanded web presence came an increased international awareness of ACS and our unique range of courses. This attracted attention from many quarters. In the late 1990's courses were sold or licensed to a number of other countries. The government of Bermuda purchased rights to the ACS Certificate in Horticulture, to use in developing horticultural training for that country. One of the United States largest mail order plant nurseries (Pacifica), purchased rights to the same Certificate in Horticulture, and began teaching this program from a new 400 acre botanic gardens in Oregon. Apart from teaching; ACS has also always been involved in publishing. From the early 1980's for around 15 years, ACS principal John Mason, wrote regularly for Grass Roots Magazine. In 1983 the school started regularly contributing to the national garden magazine -Garden Guide -and contributed off an on involvement with that magazine until 2003. 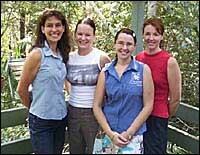 In 1988 the school was contracted by Express Publications in Sydney to write a range of Gardening magazines. This arrangement also continued for many years. Over a period of 30 years, John Mason and staff at the school have also been contracted to write over 50 books for both national and international publishers including Kangaroo Press, Leisure Press, Harper Collins, CSIRO/Landlinks Press and Hyland House. Throughout the 21st Century ACS has continued to grow internationally. By 2002 it was becoming very obvious that the future growth was more overseas than just in Australia. 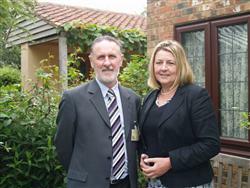 ACS now contracts staff worldwide. It now operates as two separate but affiliated entities, one in Queensland , Australia; and the other in Stourbridge in England. Between 1992 and 2004, ACS operated as a registered training organisation offering a range of accredited certificates and diplomas; but as always, the world was changing, the value of formal qualifications was diminishing and the importance of learning becoming far more important than the qualification which the learning led to. ACS shifted it's focus away from assessment and qualifications. We still offer a range of qualifications of course, but today we see our role as facilitating learning, rather than providing formal qualifications. This approach allows us to provide a better and more focused learning experience. We have found industry has responded well and our students succeed because of the superior learning they achieve. In 2007 we launched a new affiliates system, partnering with some leading colleges in the UK and Australia, under the banner ACS Global Partners. By 2012, this had grown to encompass 18 colleges, in 6 different countries, licensing and delivering ACS courses to over 8,000 students each year across the world. Expanding our activity in this way has provided additional revenue and allowed us to expand our development of both course materials, and software resources, for ever improving services to our students. Unlike many other education institutions, we have taken this route to supplementing income, rather than relying increasingly on government funding. We believe that by diversifying our funding sources and avoiding any reliance on government funding; we are developing greater sustainability in the education service we can offer. 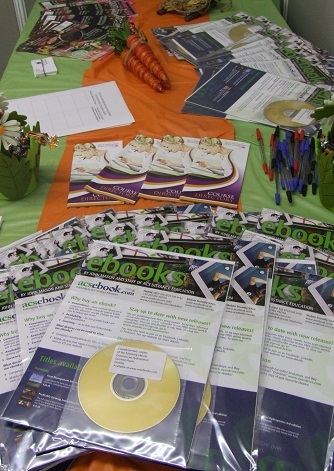 In 2012, we launched a new ebook publishing business; with our staff writing and publishing ebooks, specifically designed to compliment and support our students in their studies. By mid 2015 we had published around 100 titles. 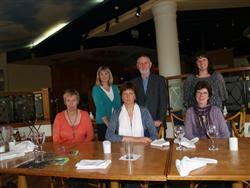 In 2013 we entered another partnership, to produce a quarterly "green living" magazine (ie. Home Grown) with a Sydney publisher. Sue studied with us in the late 1980's, and in 2019 talks about how her career has developed since then. 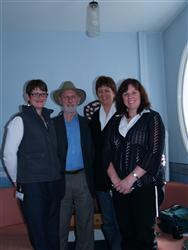 Principal and fellow board members of the Australian Garden Council meet the Australian PM in November 2015 at Parliament House, Canberra.